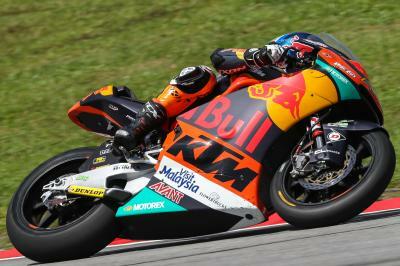 Franco Morbidelli kann am Wochenende in Sepang Moto2™ Weltmeister werden. 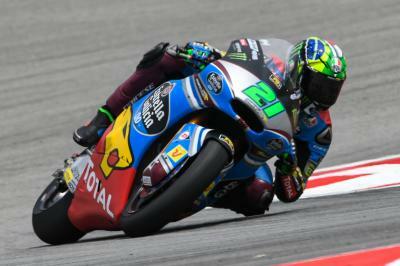 Nach seinem dritten Platz auf Phillip Island am letzten Wochenende, liegt Franco Morbidelli (EG 0,0 Marc VDS) um 29 Punkte vor dem Schweizer Tom Lüthi (CarXpert Interwetten). Damit hat er den ersten Matchball auf die Weltmeisterschaft – und wäre damit der erste Italiener, der in der neuen Moto2™-Klasse triumphiert, zum ersten Italiener in der mittleren Klasse seit Marco Simoncelli 2008. Es wäre der 23. Titel für Italiener in dieser Kategorie. 10. Platz: Lüthi darf nicht besser als Sechster werden usw. 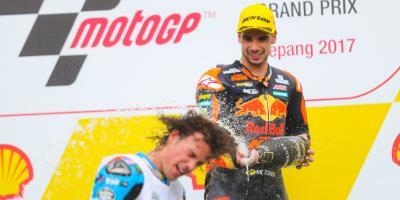 - If Morbidelli finishes second or third, he will be Champion if Lüthi does not win the race. - If Morbidelli finishes fourth, he will be Champion if Lüthi does not finish either first or second. - If Morbidelli finishes fifth, sixth or seventh, he will be Champion if Lüthi does not finish on the podium. - If Morbidelli finishes eighth or ninth, he will be Champion if Lüthi does not finish better than fifth. 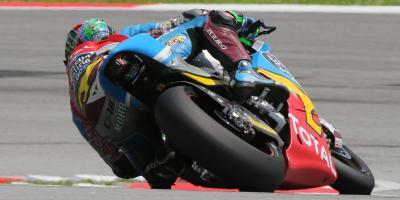 - If Morbidelli finishes tenth, he will be Champion if Lüthi does not finish better than sixth. - If Morbidelli finishes eleventh, he will be Champion if Lüthi does not finish better than seventh. 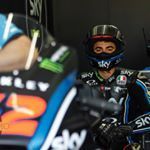 - If Morbidelli finishes twelfth, he will be Champion if Lüthi does not finish better than eighth. - If Morbidelli finishes thirteenth, he will be Champion if Lüthi does not finish better than ninth. 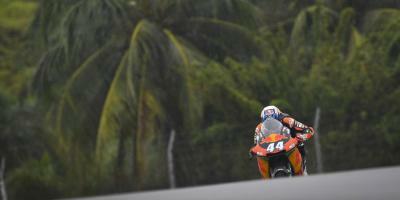 - If Morbidelli finishes fourteenth, he will be Champion if Lüthi does not finish better than tenth. 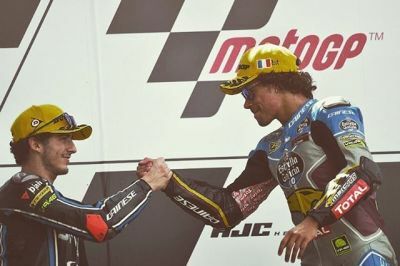 - If Morbidelli finishes fifteenth, he will be Champion if Lüthi does not finish better than eleventh. - If Morbidelli fails to score points, he will be Champion if Lüthi does not finish better than twelfth.